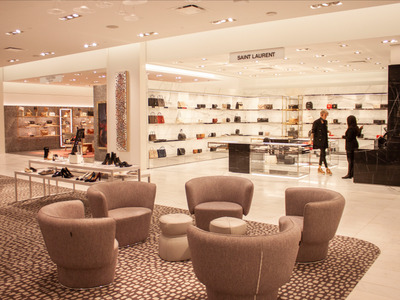 Katie Warren/Business InsiderThe 188,000-square-foot luxury department store spans three levels. 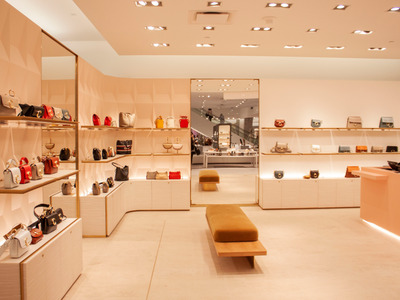 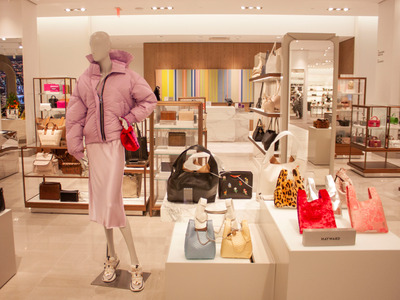 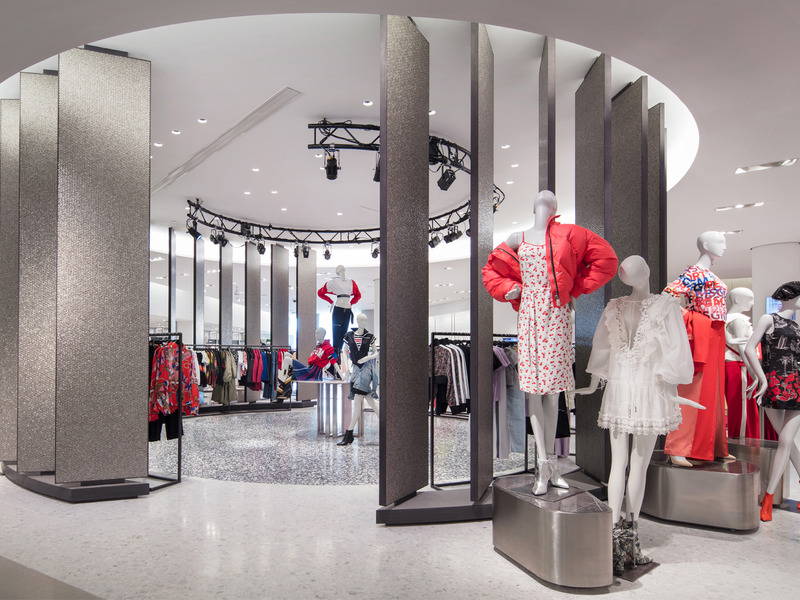 Neiman Marcus opened its first New York City store in Hudson Yards, the city’s new $US25 billion neighbourhood. 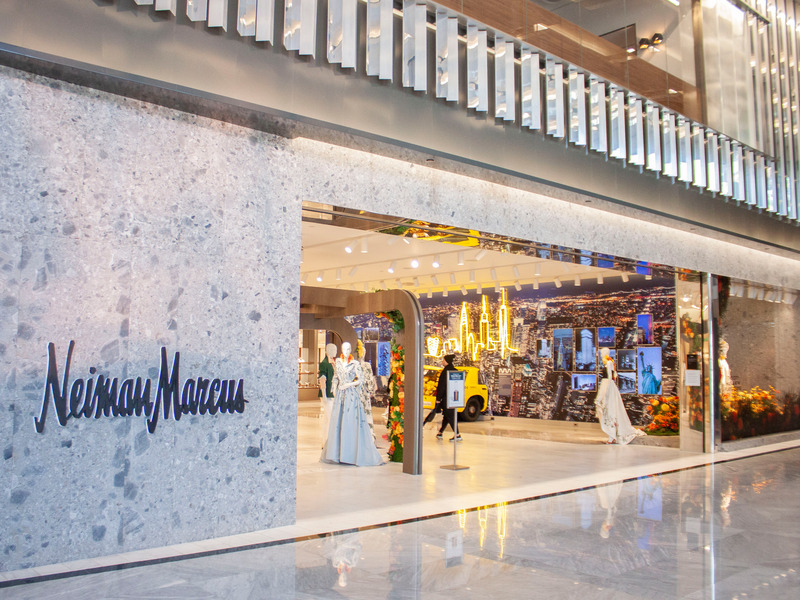 Neiman Marcus, the luxury department store with the same owner as Bergdorf Goodman, just opened its first New York City store at Hudson Yards, the city’s new $US25 billion neighbourhood. 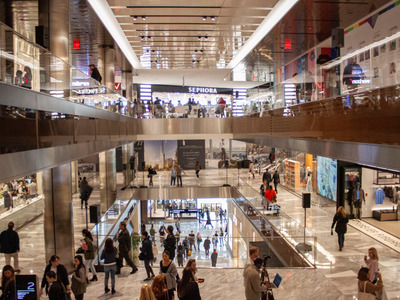 The 188,000-square-foot store, which opened March 15, spans three floors of the Shops and Restaurants at Hudson Yards, the site’s seven-story luxury shopping complex. 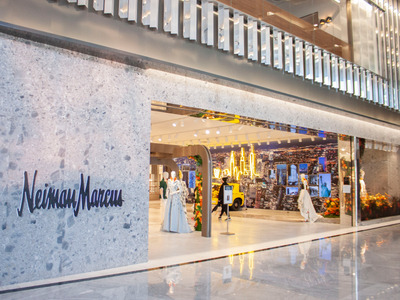 “Neiman Marcus Hudson Yards will be all about providing physical and digital experiences in a way not seen at other stores, creating a personal customer experience that is seamless and magical,” van Raemdonck said in a press release. 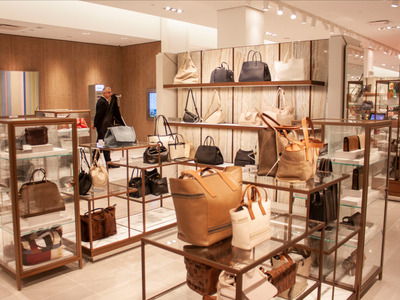 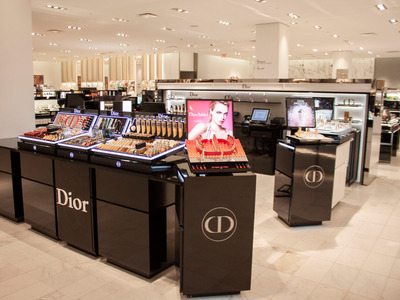 I walked through the store a few days after its grand opening – here’s what it looks like. 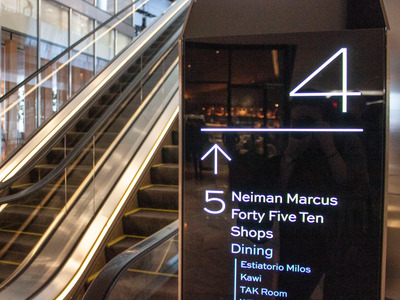 New York City’s first Neiman Marcus just opened at Hudson Yards, the new $US25 billion neighbourhood on Manhattan’s west side that includes office buildings, luxury residential towers, a public plaza, and a 150-foot climbable sculpture called the Vessel. 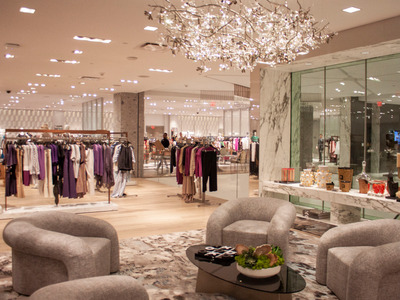 I asked the Neiman Marcus Group CEO why this is the first Neiman Marcus store in NYC. 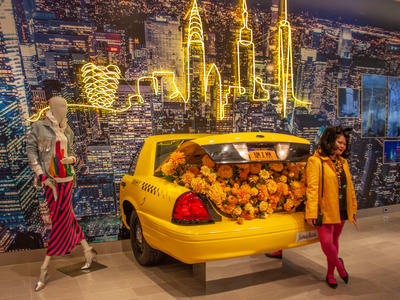 “New York has always been a core part of our business,” van Raemdonck said. 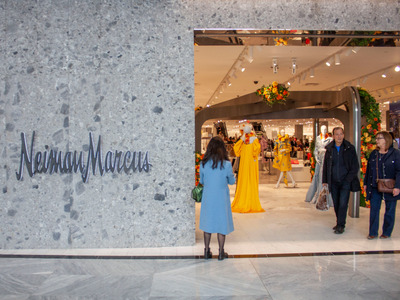 Neiman Marcus already has a base of “over a hundred thousand luxury customers” in Manhattan that have generated $US100 million in sales in the greater NYC area, he said. 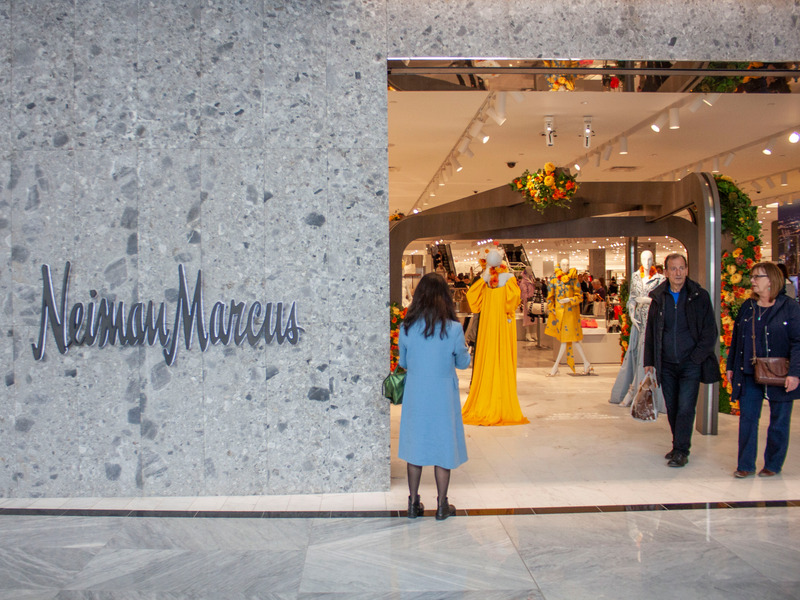 When there was an opportunity for Neiman Marcus to open at Hudson Yards, “we quickly moved on it,” he said. 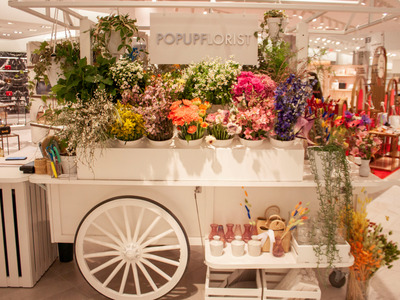 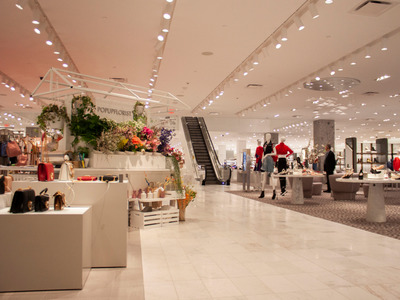 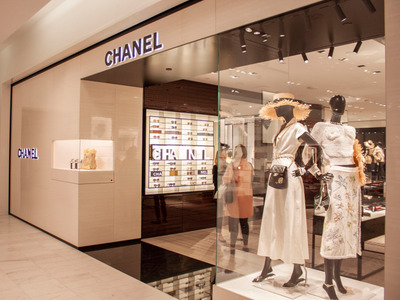 This Neiman Marcus has several features not seen in the other locations, such as a pop-up florist in case you’re shopping for both luxury purses and fresh flowers. There was an extensive sneaker collection — a logical move, considering millennials’ love for athleisure and sneakers as a status symbol. 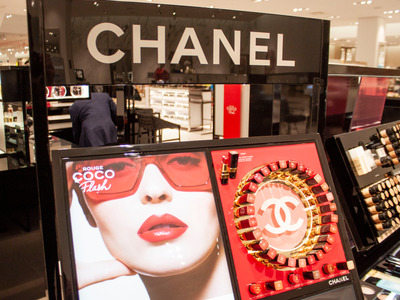 … to Chanel lipstick, which starts at $US38. 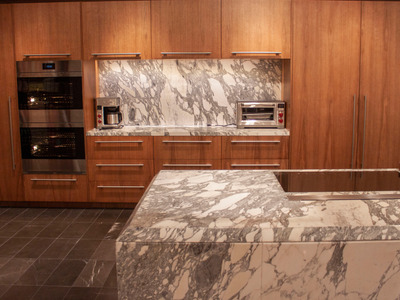 There’s also a test kitchen that offers demonstrations, tastings, and mixology classes. 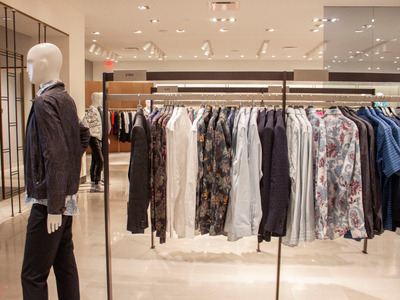 I headed up to the sixth floor, which is where you can find men’s clothing, one of the store’s restaurants, and a clothing personalisation service called Atelier Notify. 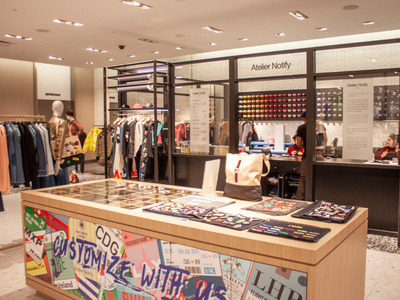 Atelier Notify is a customisable shop that offers embroidery, painting, patchwork, distressing, and embellishments. 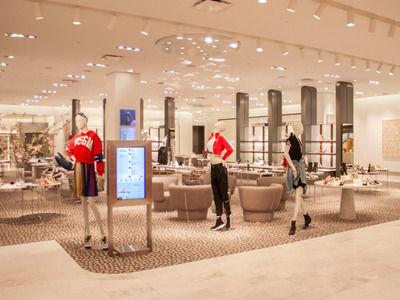 Also on the sixth floor is a performance venue called Neiman Marcus Live, which will hold concerts, fashion shows, book tours, podcast recordings, and guest speakers. 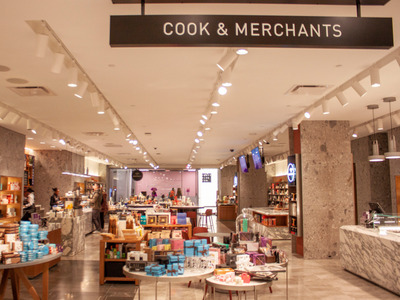 It must blend in well with the rest of the store — which was perhaps the intention — as I didn’t even notice it on my walkthrough. 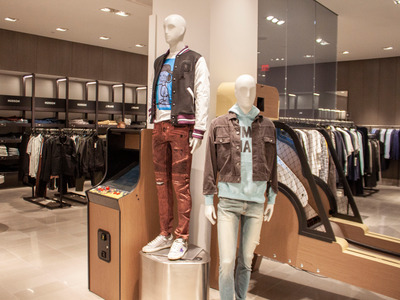 Visitors to the store are free to play vintage arcade games scattered around the men’s section on the sixth floor. 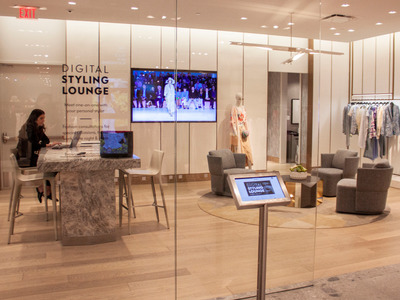 This seemed to be part of the “immersive experience” concept, but I’m not sure playing a video game is something I’d necessarily be interested in doing while shopping. 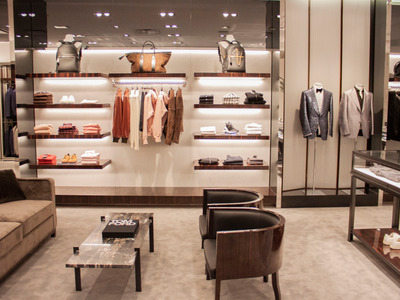 … to Tom Ford suits. 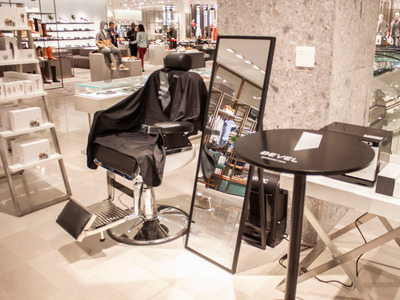 There’s a walk-up barber station from Bevel for those in need of a quick shave. 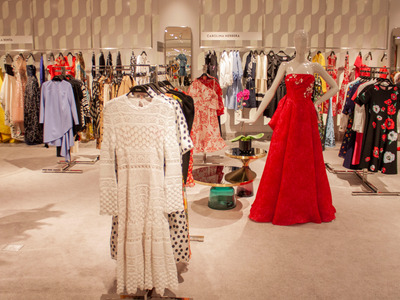 On the seventh floor are the designer collections, which include stunning ballgowns from brands like Oscar de la Renta, which run a cool $US5,000 to $US10,000 a piece. 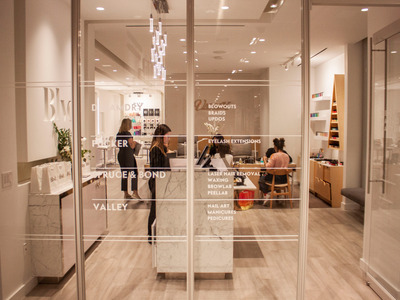 The seventh floor is also home to the jewellery department and the BLVD beauty salon, which offers services including blowouts, manicures, pedicures, nail art, lash extensions, laser hair removal, waxing, brow shaping, and peel services. 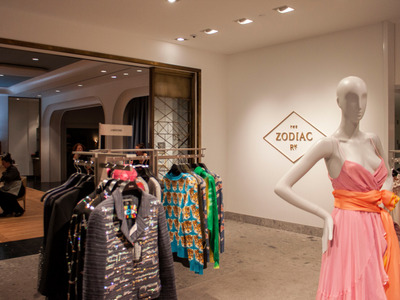 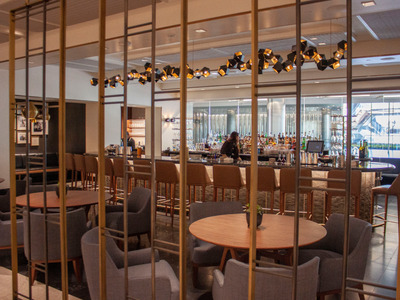 I was particularly looking forward to checking out the Zodiac Room, Neiman Marcus’ fine dining destination on the seventh floor at this location. 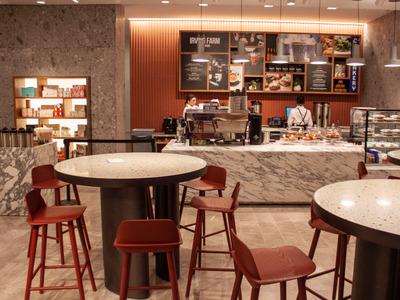 But it wasn’t open yet when I came by in the morning, so I only got a glimpse of the space, where it appeared staff was eating before it opened up at 11:30 am. 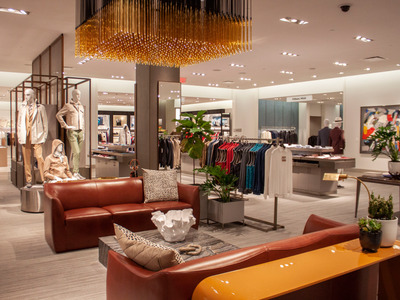 I’ve never visited another Neiman Marcus store, and I can’t speak to the shopping experience at the Hudson Yards store, as I didn’t purchase anything. 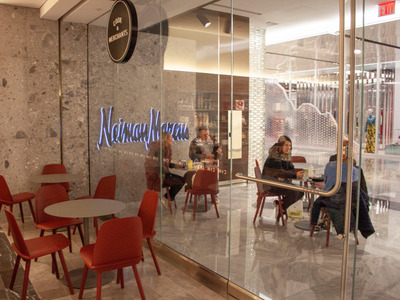 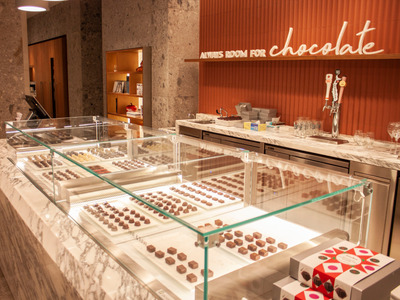 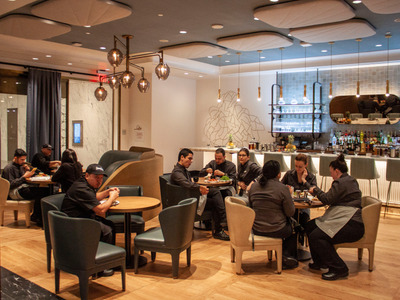 Like just about everything else I’ve seen in Hudson Yards – from luxury residential buildings to a “third space” that charges $US6 for 30 minutes of access to napping pods and meditation stations, NYC’s Neiman Marcus combines a lot of varied services into a single space. 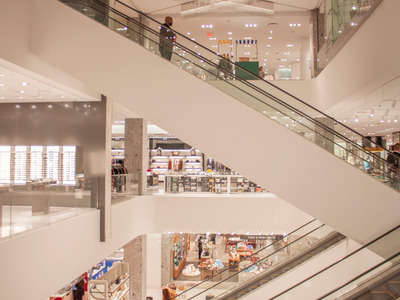 The store was definitely modern and it had some unexpected features – namely the arcades – but ultimately, from walking through it, I have to say that it felt more or less like any other department store I’ve been in. 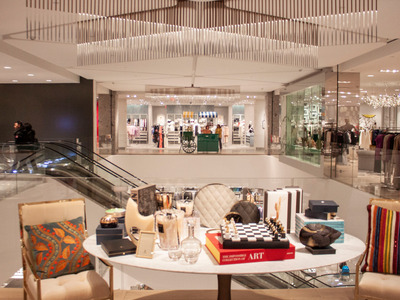 In a city that already has several famous department stores, from Bloomingdale’s to Barney’s, I look forward to seeing how Neiman Marcus will fare.